Intel’s CPU supply shortage doesn’t look like it’s getting better, and AMD is profiting. We were supposed to be seeing the chip manufacturing giant’s supply problems easing off as the big end of year manufacturing blitz ought to have abated. But the latest Digitimes research suggests that its CPU shortages are actually going to worsen going into the second quarter of 2019. 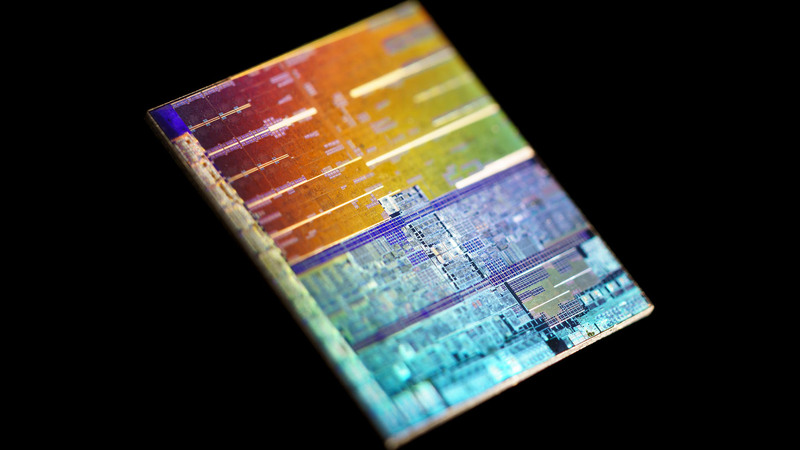 Last year the manufacturing issues Intel was experiencing, desperately trying to get enough 14nm silicon out of the factory door to meet demand, meant companies such as HP, Dell, and Lenovo couldn’t get enough CPUs into their machines. With its motherboard chips and the processors themselves all now utilising the same 14nm production node Intel simply couldn’t manufacture enough of either to keep production rolling. Starting in August of last year the major notebook manufacturers began to experience a growing supply gap, with it topping 5% in the third quarter and Taiwan-based companies seeing their supply gaps spiking to 10% at times. And this has all been good news for AMD as it has managed to increased its laptop market share on the back of Intel’s problems. And not by a little bit either, going from just 9.8% at the start of 2018 up to 15.8% this year. Things have eased off a little at the start of this year, however, with the supply gap generally expected to drop to around 3% in the first quarter of 2019. But the new Digitimes research states that it’s only likely to rise again as we move towards the second financial quarter of the year. Why? Well, it’s all down to those accursed Chromebooks. Yes, we’re apparently about to go into the ‘high period’ of demand for the wee not-quite-laptops and that means entry-level Intel CPU are going to be rare as pig eggs. Digitimes reports that throughout the previous supply struggles it was the ubiquitous Core i5 chips that bore the brunt of the shortages, but with the Chromebook demand set to swallow up Core i3 processors that’s going to change. The lower-end Apollo and Gemini Lake Atom chips haven’t fared well either, as Intel shifted manufacturing priorities to the higher-end models with higher profit margins. Some smaller Chinese manufacturers have even been completely denied any supply of entry-level Intel processors. And that has meant companies are turning to AMD. While its graphics card market share might have dropped recently it has made great strides in the tough notebook market. By boosting its share from less than 10% last year to nearly 16% this year you can see the momentum AMD is experiencing isn’t just on the desktop and data centre level. The prediction is that in the second quarter of this year AMD’s notebook share will rise to 18%… but that might well be the high water mark for the red team. Intel has been working on its 14nm capacity, and by the summer it should have increased it by 25%; enough to cover the shortfall. In the case of Apple, however, it looks like the supply shortage is only playing into its reported decision to turn away from x86 processors entirely by 2020. The 14nm Amber Lake CPU was exclusively made for the most recent MacBook Air, and was inevitably a victim of the manufacturing problems too. But what about the switch to 10nm processors and Ice Lake? That’s due for mass production in the second half of 2019, but Digitimes suggests there are still many issues with Intel’s plans for volume 10nm production… which doesn’t sound good.